You, The Well-Informed Parent: Advocate for Your Children and Teens! In my last post, it was my intention to pay attention to how your children are sleeping (or not). 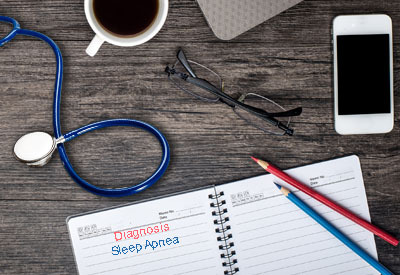 If YOU are awake much of the night…perhaps you need a screening for a sleep breathing disorder! A variety of symptoms can present when children/teens don’t get the proper quantity and quality of sleep regularly. Children and teens will typically present with nighttime symptoms of bedwetting, restless sleep (kicking and banging around) or are twisted in the sheets when you go in to wake them. Hyperactivity, trouble focusing on quiet tasks, impaired growth, avoiding dry, chunky, or more difficult to swallow foods may also present. The lack of parasympathetic sleep (restful and restorative- think “rest and digest” for parasympathetic) has an immediate and long-lasting effect if deep sleep is impaired. Early in growth it is typically the consequence of enlarged adenoids and/or tonsils. It can also be related to being “tongue tied’. This will also affect the types of foods your children will trend away from; dry foods, hard to chew foods. They may swallow without a closed lip seal or “smack” when eating. Myofunctional therapists and speech therapists trained in MFT can evaluate this condition and, once the frenum is released and airway cleared, begin to retrain the brain improper tongue positioning, speech, swallowing, etc. If the airway isn’t cleared or isn’t developing properly due to those effects, it can be very difficult to “re-train proper swallowing or speech” until the physical barriers are dealt with. Orthodontic treatment for under-development of the maxilla (upper jaw) may be needed to get the maxilla back towards normal size to allow the tongue and airway to properly function. Clinical evaluation as well as radiographic of the airway, jaw growth and size, deep tonsils and adenoids and proper nasal/ maxillary growth can clearly show the physicians the medical necessity they are required to provide that “justifies” tonsil/adenoid removal. As I tell my patients, nothing can stand in the way of a well-informed parent when advocating for their child’s wellbeing. A list (downloadable PDF) of common signs and symptoms and visuals that parents can look for that will suggest your child or teen has an airway problem are located on our website under the Sleep Breathing Disorders tab.